The Government of Uzbekistan has recently signed a resolution “On measures to improve public administration in the field of intellectual property”. The resolution, approved on February 8, 2019, introduces new elements into the intellectual property protection system of Uzbekistan and aims to advance efficiency in the IP field. The newly introduced measures have primarily focused on the trademark system, aiming to target the shortage of experts in the industry and implement future reductions in the official fee rates. The resolution also contains procedural changes and proposes review of all registered trademarks. As of March 1, 2019, pending trademark applications should have been available on the IPO’s website from the business day following application filing. However, this drastic improvement hasn’t been implemented yet. Before the resolution was signed, only registered marks were published on the website. To review a pending trademark, it was necessary to file a special request and pay the corresponding fee. The new system once implemented will benefit applicants greatly in their pre-filing search process. Furthermore, the non-use period has been decreased from five years to a newly adopted three years, which is also in force as of March 1, 2019. In an additional bid to standardise the law on trademarks, a full inventory of all registered trademarks is to be conducted. This inventory aims to identify unfairly registered well-known trademarks and revoke those which were registered contrary to the requirements of the national IP law. 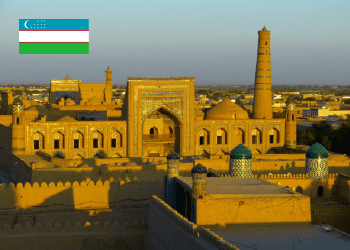 Uzbekistan has set a deadline of July 1, 2019, the date by which all unfair registration checks should be completed. This deadline also sets the date for the implementation of an updated and single integrated IP database, a feature which will inevitably harmonise the IP protection process further. In addition, all trademark applications as of September 1, 2019, will only be accepted through the online filing system. These measures are believed to improve the intellectual property system of Uzbekistan and adjust it to the worldwide standards.